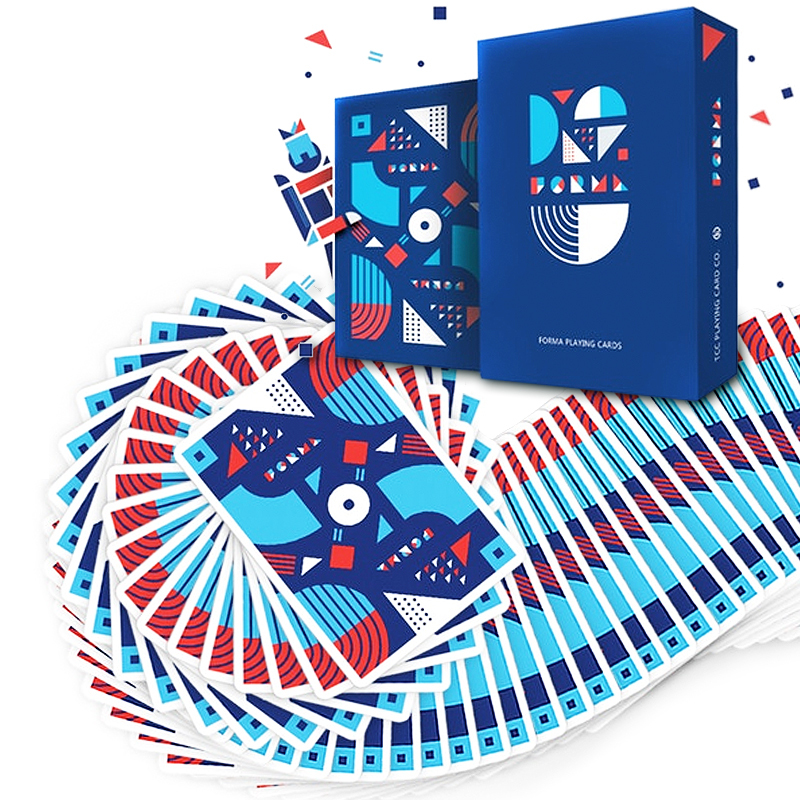 Forma, a playing card especially designed for the cardistry player. Artwork by Ale Urrutia. Inspired by the basic geometric shapes. Lasted six months, the design has got 1200 praise in the behance at present. It's quite remarkable in the small area of playing card. Design inspiration: FORMA is the Spanish word for shape. The author's inspiration comes from the most basic geometric shapes, such as circles, triangles, squares, etc. Mix the geometry and the city popular wind, and then stitching color block, every detail is full of dynamic and fashion. FORMA's unique design allows it to be added in the fan, display, and even dynamic effects. This is a playing card that will make your cardisry action more appealing. Printed by USPCC, Limited Edition and will not reprint. About Ale Urrutia Designer, creative director, UX design director from Uruguay. Specialized in concept creation, branding and web site development. A passionate researcher, hands on person and global trends-aware designer. Worked as Designer, Art Director and Web Developer, Creative Director, UX Design Director for companies in Uruguay, Spain, Namibia and China. Also collaborated directly with clients from Japan, USA, Germany, Switzerland, France, Canada, Russia, Nigeria among others. • The cards are poker size.